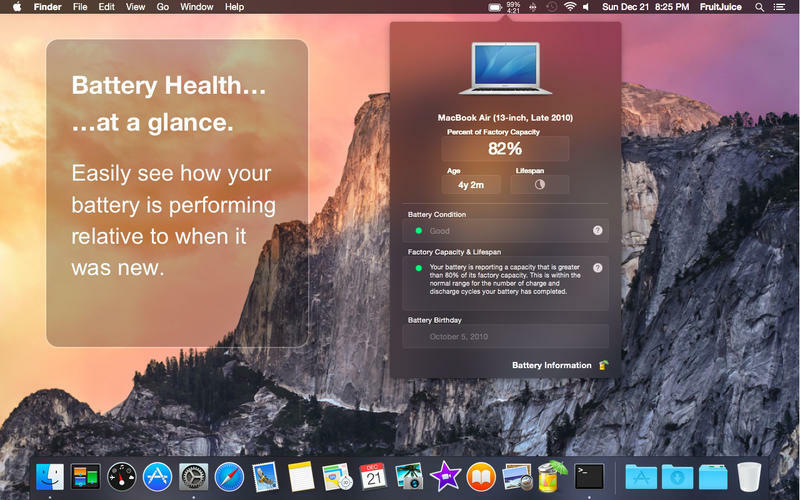 FruitJuice keeps a detailed record of your battery charge and discharge activity so that it can make precise recommendations about how long to use your machine on battery based on Apple’s recommended usage patterns. Correct an issue where conflicting or duplicate notifications would be posted. Improve updating of menu bar battery time remaining.